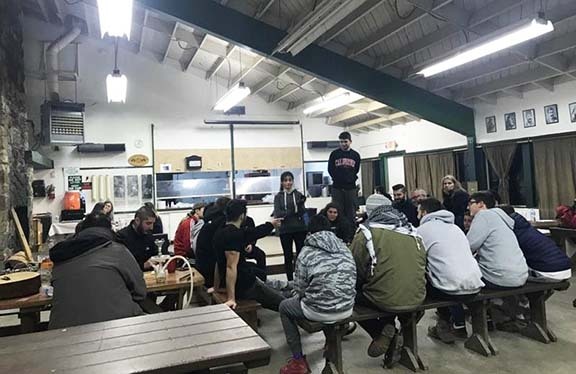 WRIGHTWOOD, Calif.—The Armenian Youth Federation (AYF) San Fernando Valley “Sardarabad” Chapter in conjunction with their local Armenian Revolutionary Federation (ARF) “Rosdom” Gomide held their annual “Gomide Camp” from March 2-4 at AYF Camp. They were joined by AYF “Simon Vratsian” Juniors and AYF San Fernando Valley “Sardarabad” Alumni. The purpose of the weekend was to develop and strengthen the already present relationship that the chapters and the gomide have with each other. The weekend consisted of a series of events ranging from social, athletic, and educational. 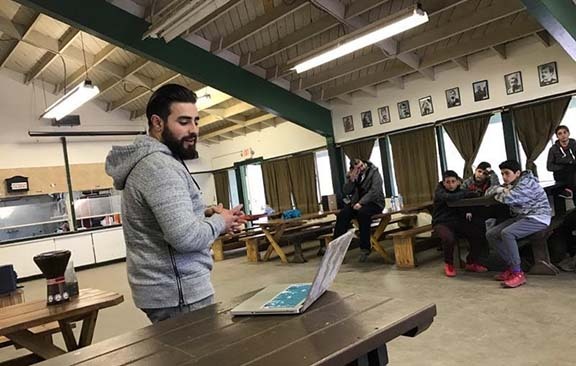 After a couple of ice breaking activities and an introduction on Friday, Saturday morning featured a lecture by AYF “Sardarabad” executive member Harut Minasyan. The lecture, more aimed for the juniors, was about conceptions of the Armenian identity. The AYF Juniors were able to give their input and this led to a very healthy discussion. The AYF members also took this opportunity to teach the juniors the song Hyeortik. 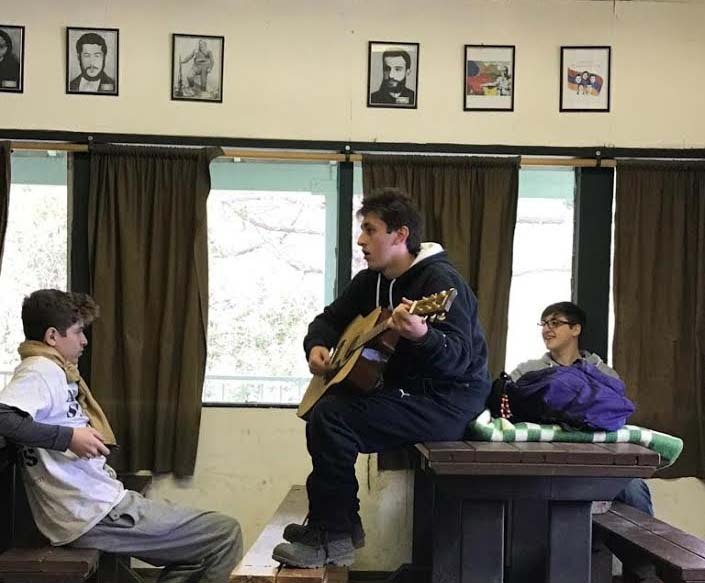 Followed by the lecture, all those in attendance played traditional camp games such as “Steal the Bacon” and dodgeball. The afternoon lecture was led by Gomide ungers. The ungers discussed the current state of the region and how we could prepare the next generation by working together in order to help the region prosper. The ARF members gave both the AYF and AYF Juniors the opportunity to ask any questions and this led to a discussion about what it means to be an AYF and ARF member. The night concluded with a social khrakhjank with traditional Armenian food and music. It was a very successful weekend that proved to be a reunion to many of the membership. Intimate weekends at AYF Camp tend to be the best form of strengthening bonds from generation to generation.